How did Luther College cut it’s CO2 emissions by over 50%? 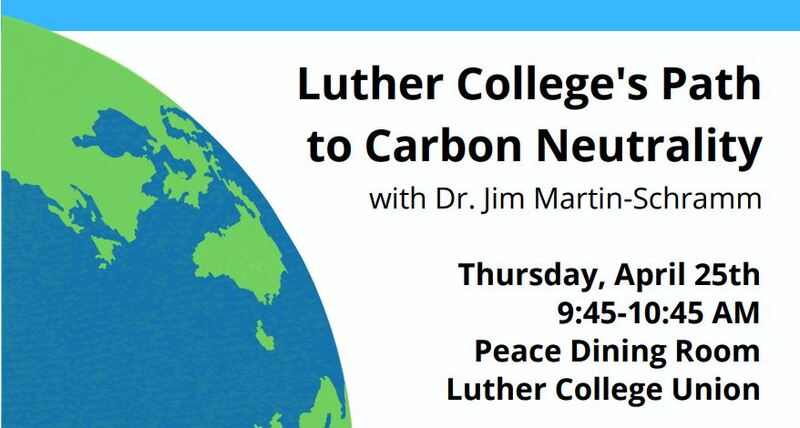 Join Luther College Center for Sustainable Communities director Jim Martin-Schramm on Thursday, April 25th to hear how one small liberal arts school made a big change. This program is open to the public and free to attend. Brunch by Luther Catering will include quiche, fruit, muffin, coffee, and juice. Please register for this event by Monday, April 22nd if you plan on eating brunch.